This entry was posted on Wednesday, September 18th, 2013 at 2:13 pm	and is filed under Uncategorized. You can follow any responses to this entry through the RSS 2.0 feed. You can leave a response, or trackback from your own site. 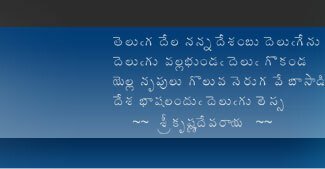 There are many hopes that Jagan will stand firmly for united A.P. People in Seema Andhra seem to believe it strongly. What worries me though is YSRCP earlier statement that they will support Congress at the Center after the elections. I wish and hope that YSRCP can come out and say that they will not support Congress at the Center if Congress goes through with the division. The people of Seema Andhra must get this promise from YSRCP before they decide to vote for them. No matter what Congress does now, their chances of getting seats in Seema Andhra are very bleak. So, they may go ahead with the division hoping to get some seats in Telangana area at least. In my view, there are 2 things that can stop the division. Definitely not bandhs and meetings. 1. YSRCP must categorically announce that they will not support Congress at the Center if they go through the division. This will definitely make Congress think twice. In this case, people of SA should vote for YSRCP overwhelmingly. 2. All the voters in Telangana who support the united AP, must send a strong signal (through opinion polls, surveys, etc…) to Congress that their number is big enough to dent the chances of TRS and Congress. If Congress realizes that it is going to win less than 10 MP seats out of A.P. with all its alliances with TRS, MIM, etc… then it may think 10 times. In this case, supporters of united AP in Telangana area should vote for TDP overwhelmingly. This is the best way to checkmate Congress idea of tying up with TRS and YSRCP in respective regions to gain mileage, in spite of division. I think Congress wants to make Jagan as a champion for Samaikyandra cause. And themselves as T champions. They are treating ppl in both regions as sheep. Too much politics will backfire. Satya, I agree. The movement should be lead by non-political leaders. Lagadapati who is a staunch samaikyavadi was kept away from the movement. Similarly, they should maintain distance from Jagan, who is a polarising figure and has stigma of corruption on him. How can YSRCP who gave up on Telangana fight for united AP? Confining him to Hyd is a blessing, but not sure how long it will stay that way. My opinion is that people should support TDP to keep the state united. Telangana TDP leaders were never rabid separatists, but just playing along. If they can put a decent show in Seemandhra and do well in greater HYD, they have a good chance of forming Govt in United AP. Someone in Telangana can be made CM to pacify Telangana people, Babu can move to national politics. either or both will work depending on stituation at the time of elections. If division does not happen, any champion of will reap benefits in RSA. Otherwise there will be lot of confusion among voters. Alleged new party by congressmen may benefit. Unfortunately that will be another branch of congress. One of the primary objectives for congress to divide the state is destruction of TDP. In that way voting for TDP is best revenge. But its another matter that poor CBN thought he can play a congress at regional level and lost big time. His alliance with TRS was a big blunder he made. Andhra vallani dhen….nantha ee prapanchamulo evaru evarini dhen….undaru. ayina sarey sigguleni jaathi andhra gallu ey mata paluku lekunda koorchunnaru. Chakravarthy, you people lack intellectuals and strategy. You people lack orators, poets and media and facebook groups and blogs. You are fighting a blind and time-waste war. Comedy. Coping Ramoji Film Studio, the Haters named their Film Studio Kaloji Film Studio. Kaloji gaadiki vedukalu ento theliyadhu. aa parayi rashtrapu neechudu Andhra vallu idhi Andhra vallu adhi ani visham kakkuthuney sacchadu, ippudu picchollu Andhravallu kooda aa kukka kalojigadi gurinchi theliyaka programs chesthunnaru. Kaloji gadu Telugu prajalaki porushamu ledhu Marathi vallaki charithra undhi ani vrasadu 1974. Vadu oka kukka. Vadu oka gajji kukka. andhukey vadi gurinchi pracharam ekkuga jaruguthadhi. entha oeddha kukka ayithey antha ekkuga pracharam chestharu. When Salahuddin had said Naizam Telangana people to go and build their capital in Warangal, the liars, haters and fraudsters (TVadis) could not curse owaisi. Now when Ashok Babu said it correctly that Naizam T people were slaves to the Naizam before formation of AP, and that Seemandhras developed Hyd, the mean Naizam people cursed him. Ashok Babu asked why seemandhra people should go away. He said Naizam people can have their capital elsewhere, every dog in the Naizam T Gobbels list (even till day we do not curse the whole race as Naizam T people have done till now). GK, I did not call myself GK or Deshapathi. So dont worry. Look at yourself how you are supporting that mannerless Deshapathi dog who is a teacher but talks lies. GK, you are worst than Deshapathi. 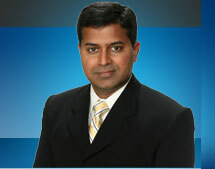 Bhanu: I try to keep this website as clean as possible. You are free to write anything you want except abusive language. Please keep foul language out of discussion. Chakravarthy garu, Few weeks back minister Shailajanath wrote an article in AJ news paper reg the history of Telugus claim on Hyd city. Countering that a meaningless article was published couple of days back in AJ in which the claimed historian gave details about the "Glorious days" of Telangana under the Nizam rule and the infrastructure developed by Nizam. The following link of an authenticated book reg the infrastructiure of Telangana under Nizam. This particular chapter talks about how pathetic the infrastructure, hospitals and health conditions in Telangana and near 5% educational attainment of the people under Nizam. If one can read just few pages of this chapter, that radical historians claims of the glorious days of Nizam can be pulverized. These were the years which were the "dark ages" of Telangana history. But these radicalized historians are becoming vocal and influencing the normal citizens of T and SA. I request you , VMS to be more vocal in these regards. 1. Atleast one press meet per week countering the fresh lies proposed in that week by radicals. 2. Write articles in AJ and enlighten the T people about the dark ages and how well we prgressed. Idhi choodandi Nizam-T-Vadi Jo dargaya vo margaya. Mee demudu Nizam gadi thotthu pakistan lo emi chesthunnadu. Asaduddin owaisi – Debate in Pakistan Part 1 . Congress is a wierd party. It is able to prepare, accept and send an ordinance to President in few days. But it could not find time to prepare a simple NOTE. GOI passes an ordinance which is pending with the President. Now a member of the ruling party at highest position wants ordinance thrown in waste bin. Ordinance is scrapped? In such case there is no sanctity to party decisions even if taken highest body of the party. Not scrapped? Gandhi family has no control over government. Its decisions may not be implemented by GOI.